FORT WAYNE, Ind. (WOWO): The Fort Wayne Komets are getting ready for their 67th season in Fort Wayne with a training camp that started Monday and lasts through next week. One challenge is the roster itself: just a few players from last season’s team are returning. Cody Sol, Jason Binkley, Taylor Crunk, Marco Roy, Jamie Schaafsma, Anthony Petruzzelli, Justin Hodgman, and Ryan Lowney are all back in the lineup, bolstered by offseason acquisitions that include Garrett Ladd, Garret Ross, and Zachary Fucale. 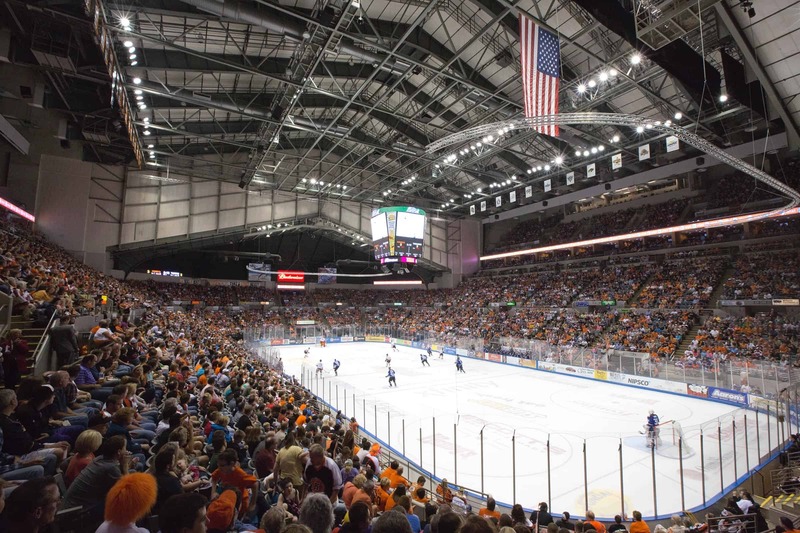 The Komets will play an exhibition game this Saturday in Fort Wayne at the Coliseum against the Indy Fuel, and the official season kicks off on October 12th in Indianapolis. Follow the action with Shane Albahrani as he returns for his third full season performing play-by-play broadcasting on WOWO 1190AM and 107.5 FM, and also streaming live at Komets.com.